Charles Darwin was probably not a brewer, but his contributions to the science of evolution certainly apply to Saccharomyces cerevisiae. In the 150 years since Darwin first introduced natural selection, commercial and homebrewers alike have impeded the evolution of brewer’s yeast by limiting its use in successive batches. After all, more batches mean more yeast reproduction, more genetic mutations, and less predictability and consistency. Some breweries, such as Iowa’s Toppling Goliath, avoid evolution all together by using fresh yeast for every batch! For the first five years of homebrewing, I could count on one hand the number of times I repitched yeast into more than one successive batch (3!). I never considered the positive impact of evolving house yeast until earlier this year. 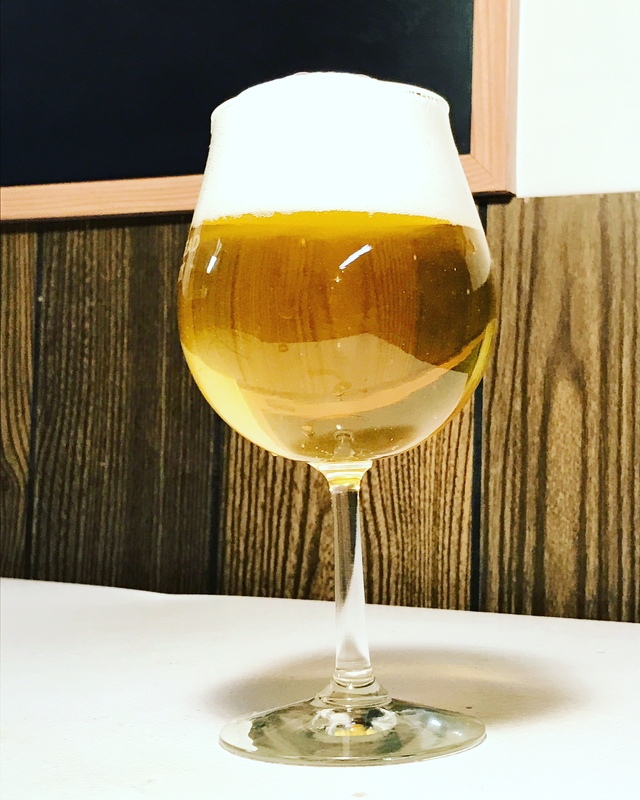 In Ales of the Riverwards April blog post, Ed Coffey revealed that Pennsylvania’s Forest & Main Brewing Co. embraces their inner Darwin with their saisons. Each spring, founders Daniel Endicott and Gerard Olson forage yeast (and other microbes) from nearby flora, surrounding the brewery. Once captured, they ferment their saison then repeatedly repitch the foraged cultures into subsequent batches in an effort to create a “saison vintage.” The following spring, Endicott and Olson begin the process again with a new foraged sample. Instantly, I became enamored with Forest & Main’s interpretation of traditional farmhouse brewing. Soon after, I set out to begin the process of (perpetually) repitching my own foraged (and now house) yeast. With a nod to Darwin, I dubbed the project the Evolution series. Beyond repitching yeast slurry into subsequent batches, I have a very loose plan for the Evolution series. Some iterations may have precisely built recipes, while others might use surplus wort from other endeavors. Hopping rate may change over time, perhaps oxygenation level and yeast pitching rate too. Golden batches may be superseded by amber or even dark ones. Batch size will vary from one to five gallons. One thing is for sure – I intend to brew at least one Evolution batch each season despite the recipe dynamism. Evolution #1 was conceptualized during the transfer of Farm Bière from fermentor to keg (for extended aging). Farm Bière was brewed in May 2016 as a tribute to Jolly Pumpkin’s Bam Bière, one of the most influential farmhouse beers I have ever tasted. It was fermented with first generation foraged yeast, making it an ideal candidate to steal yeast slurry from. In June, while brewing Table Ale #3, I diverted one gallon of post-boil wort into a glass carboy and repitched the Farm Bière yeast slurry. Evolution #1 was bottled in July and shared with friends a few months later. Appearance – The crack of the bottle reveals a large hiss and the carbonation transforms into a dense, frothy, snow-white head as the beer falls into the glass. Beneath the 3-finger head is a brilliantly clear, golden-yellow beer. Simply beautiful. Smell – Familiar notes of ripe banana peel and new growth/young flowers are complemented with a mild Pillsbury Grands! Refrigerated Biscuits dough aroma. As the beer warms, pleasant fragrances of pencil eraser, lime zest, and perfume make themselves known. Taste – First sip is bursting with freshly cracked peppercorn, dried cloves, and lukewarm lemonade – perhaps even Lemon Lime Gatorade. The taste also evolves as the beer warms where Wrigley’s Juicy Fruit Bubble Gum becomes the dominant flavor. Mouthfeel – Initially, the beer is quite dry and effervescent. As time passes, however, the carbonation escapes the beer and a silky, soft mouthfeel (as designed for Table Ale #3 wort) helps coat the tongue. Overall – This is perhaps the most beautiful farmhouse beer I have made to date with foraged yeast. The head is simply extraordinary! Each time I return to the glass for a sip, a new aroma presents itself – it is incredibly complex for a simple 4.5% table beer. Changes for Next Time – Future iterations need minor fine tuning. First, I would remove the flaked oats entirely from the grain bill. 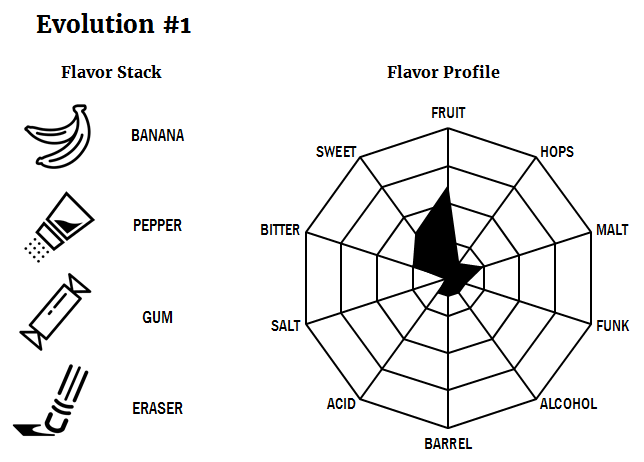 In combination, I would shift the water profile from New England IPA to Saison to create a drier mouthfeel. Third, I’d bump up the carbonation from 2.5 to 3.0 volumes to help reinforce a stronger saison feel to the beer. Lastly, dry hopping (and even more bittering hops) may add complexity to the flavor and aroma profile of the beer. Have you intentionally repitched yeast to appreciate its evolution over time? I am working on a series with a wine yeast (Vintner’s Harvest AW4) with successive repitching in beer, to see how the attenuation evolves. Only gone through two (a Lithuanian style raw ale, and a rauchebier), but it’s an interesting project. Probably do an amber with spruce next. Planning on doing it with a blend of my wild capture and commercial saison yeast as well. Very cool! You’ve gone through two generations over how many months? When you collect the yeast (post-fermentation), how are you storing it and for how long? I am also interested in seeing the performance changes in my yeast over time, although its apparent attenuation is already pretty insane (90-95%).